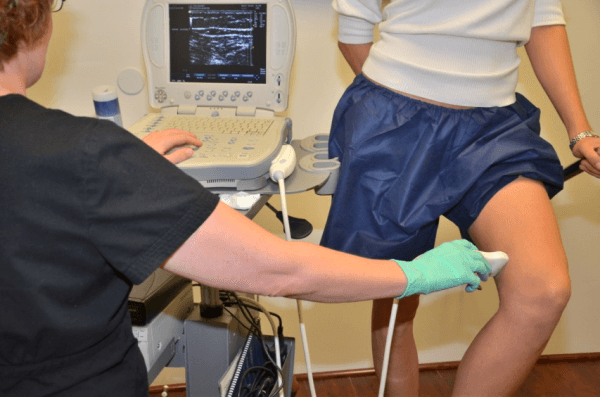 More than 30 million Americans suffer from Varicose veins and the more serious form of venous disease called Chronic Venous Insufficiency (CVI), yet only 1.9 million individuals seek treatment each year. 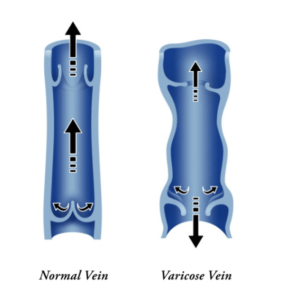 Venous disease is more common than arterial disease, however Varicose veins eﬀect one out of two people, age 50 and older, and 15-25% of adults. It is more common in females, after pregnancy. If the disease is left untreated, Varicose veins can progress to become CVI with symptoms that can worsen over time. Fortunately, treating this disease early can halt its progression. Genetics is one of the single most causes of venous disease; however other factors can influence vein disease including pregnancy (especially multiple pregnancies), increasing age, obesity, lack of exercise, and jobs requiring long periods of standing. 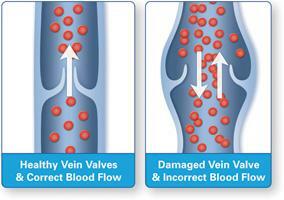 Vein disease is caused when the walls of the veins become weak or damaged. In a healthy individual, veins have one-way valves that work within the circulatory system to pump blood back up to the heart. Vein disease is caused when the walls of the veins become weak or damaged. In a healthy individual, veins have one-way valves that work within the circulatory system to pump blood back up towards the heart. As muscles contract, the blood is squeezed forward in the veins. When muscles relax, the valves shut to prevent blood from flowing backwards. When a valve fails to function correctly and not close correctly (due to the various causes discussed above), there is a reflux of blood in a negative direction. This leads to a pooling of the blood, also known as backward flow, causing the walls of the veins to become weak and damaged, which leads to a variety of vein complications such as chronic vein disease; this includes Varicose veins, spider veins, Deep Venous Thrombosis (DVT) or blood clots, superficial Phlebitis and Chronic Venous Insufficiency. Some common symptoms of Venous disorders are, throbbing leg pain, leg heaviness & fatigue, itching, burning, restless leg syndrome, night cramps, edema, skin changes (stasis dermatitis), paresthesias, and skin ulcers. After treatment, patients are often surprised to realize how much discomfort they had accepted as normal. Pain caused by venous insufficiency is often improved by walking or by elevating the legs. On the other hand, the pain of arterial insufficiency is worse with ambulation and elevation. Pain and other symptoms of venous disease may worsen with the menstrual cycle, pregnancy, and in response to exogenous hormonal therapy (ex. Oral Contraceptives and Hormone Replacement Therapy).